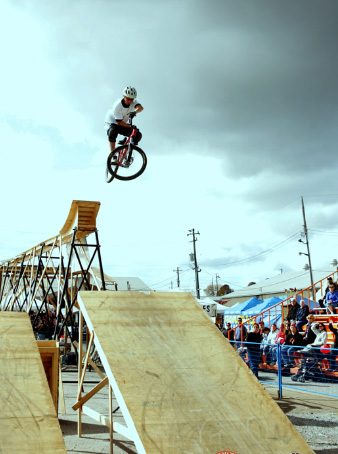 The Flow Show encapsulates most forms of extreme biking including jumping, tricks, balancing (i.e. riding skinny ramps), stunt riding (i.e. riding weird and crazy man made contraptions) and big drops.